Thank you for your interest in Eclipse Window Tinting. We are your # 1 source for window Tinting in Jacksonville Florida. You will see that Eclipse Window Tinting specializes in Auto Window Tinting, Home window tinting, and Business window tinting. We also professional install ClearBra Paint Protection Film in Jacksonville Florida, Owner and Operator, Bryan Corder has over 24 year of experience in tinting windows, along with 12 year of professional installation of ClearBra paint protection as well. Eclipse Window Tinting also works on Boat and RV window tinting. The Product we us is the best out on the market, all backed by a lifetime warranty through the manufacturer of the film. 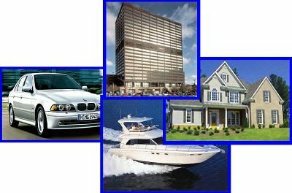 Our Auto,ResidentiaL, and commercial window film is manufactured right here in the USA. The film we use is signal friendly, which mean mthe film contains no metal, these metal can interfere with certain electronic in the vehicle like.. Car alarms,door locks,gps,cellphone signals,remote starts etc. Our films are a carbon and ceramic based window film, that makes it a color stable film that will not fade or turn color (purple) over time like the cheaper alternative of the dyed version that will cost you $99. We also have a window tint computer cutting sytem that cuts the patterns for your car out without having to cut on your vehicle. Here at Eclipse Window Tinting of Jacksonville Florida, our goal is to provide you with the best service and experience you can., we set out to provide you with the tools necessary to make an informed decision on what products and window tinting services best suit your needs.Your absolute satisfaction is our mission. You will find no hard sell here, just honest professionals who will listen to your needs and offer solutions. We are dedicated to offering exceptional service to all our valued customers, both before and after the film installation.We have all the state of the art window film that will fit your needs.We guarantee that you are getting the best job in town. We use nothing but the best film on the market, all backed by a manufacture nationwide lifetime warranty.